The Station Fire burned over 250 square miles of the Angeles National Forest in 2009. The most recent Station Fire Closure Order went into effect on May 25 last year, and is in effect until May 24, 2014. The Forest Service will not be renewing the general closure order. 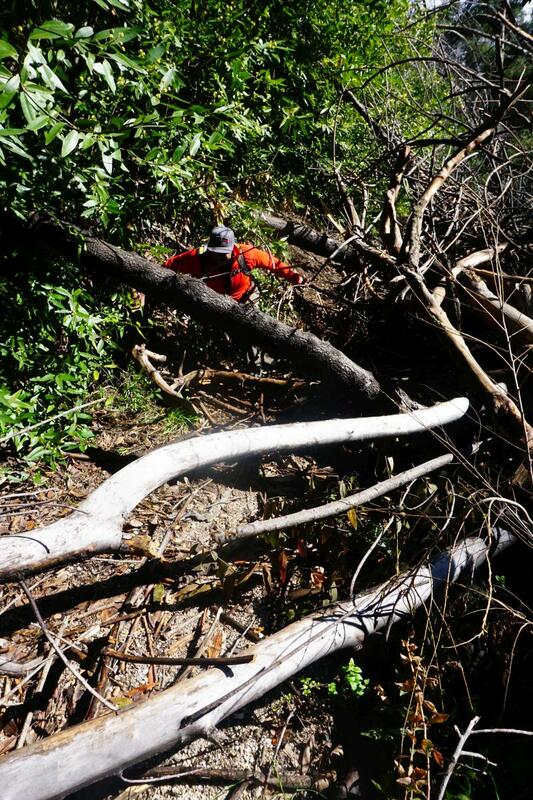 Instead, some trails that have yet to be restored will remain closed, along with some higher elevation fireroads. This is both for public safety and additional resource protection and recovery. 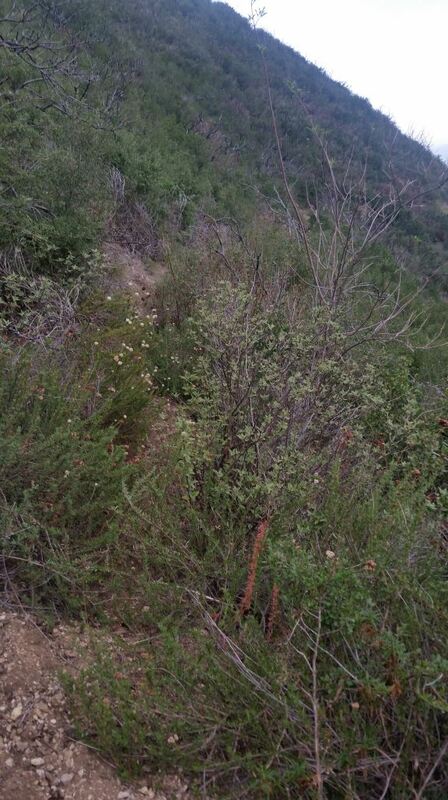 Note that some media reports have indicated that the Colby trail would be closed, without specifying which segments. 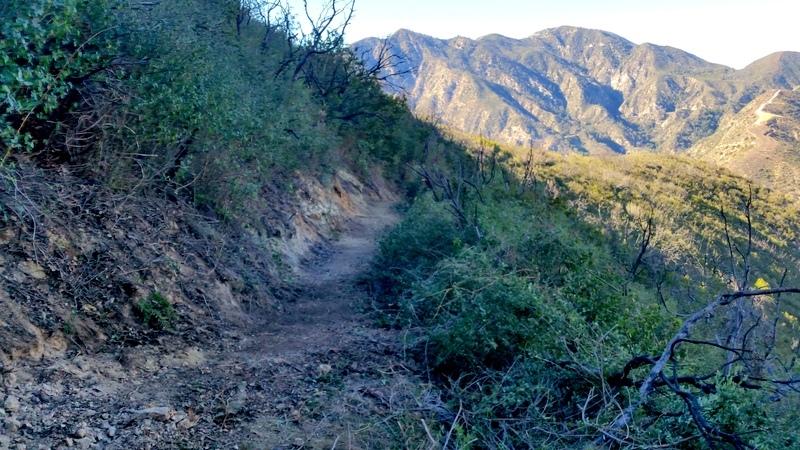 Rest assured that the segments of the Colby Canyon trail that comprise the classic “Strawberry Peak Loop” will be opened. 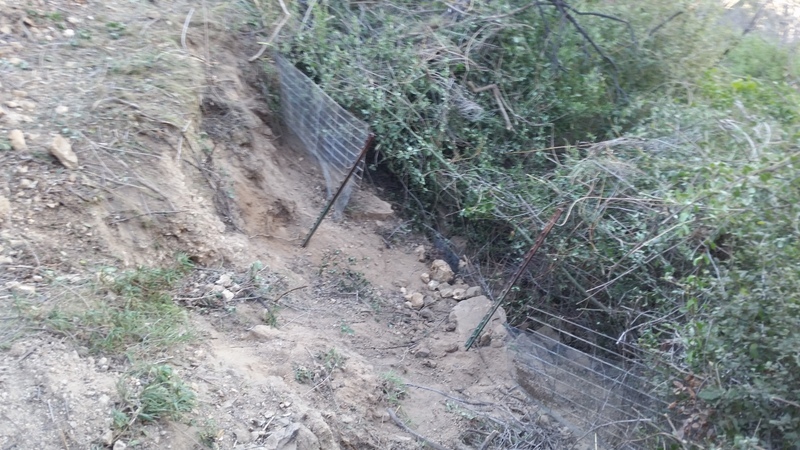 The segment of Colby Canyon trail north from Josephine Ridge to Highway 2 is still in very poor condition and not recommended for bicycles, though it will be opened. 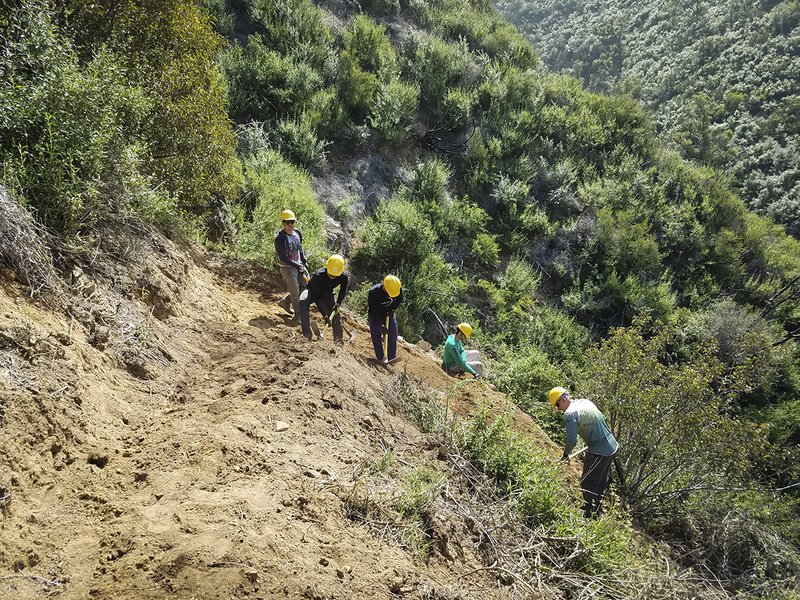 We must acknowledge once again the generous support we received from REI to help fund the professional services of Bellfree Contractors, tools and food for volunteers, that allowed us to complete the restoration of the Strawberry Peak Trail. The restoration effort included a re-route of a particularly troublesome section, which was planned out as a part of the IMBA Trail Care Crew visit in 2012. 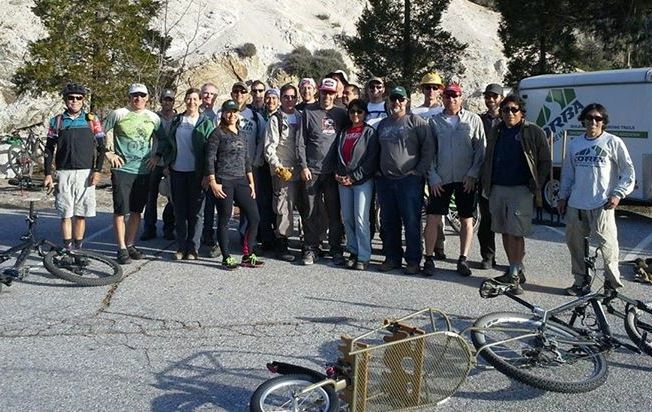 We coordinated our efforts with The National Forest Foundation, Los Angeles Conservation Corps, and the Sierra Club Angeles Chapter trail crew. 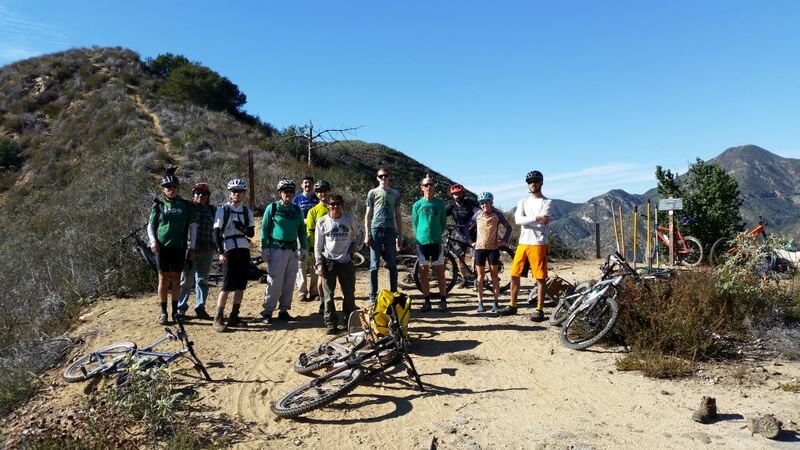 And of course, our biggest thanks go to the many volunteers who came out to our trailwork days on Strawberry Peak. We’ll be doing more trailwork there as we continue to maintain the trail in the future. 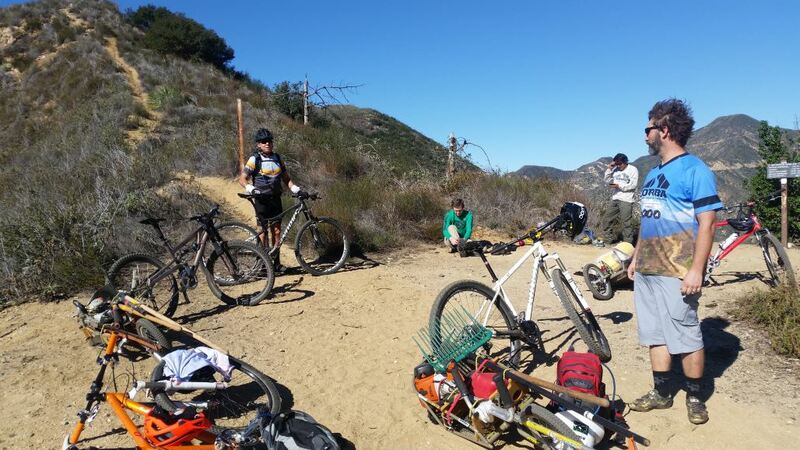 The Gabrielino Trail will be our next focus, and stay tuned for important news regarding that effort. 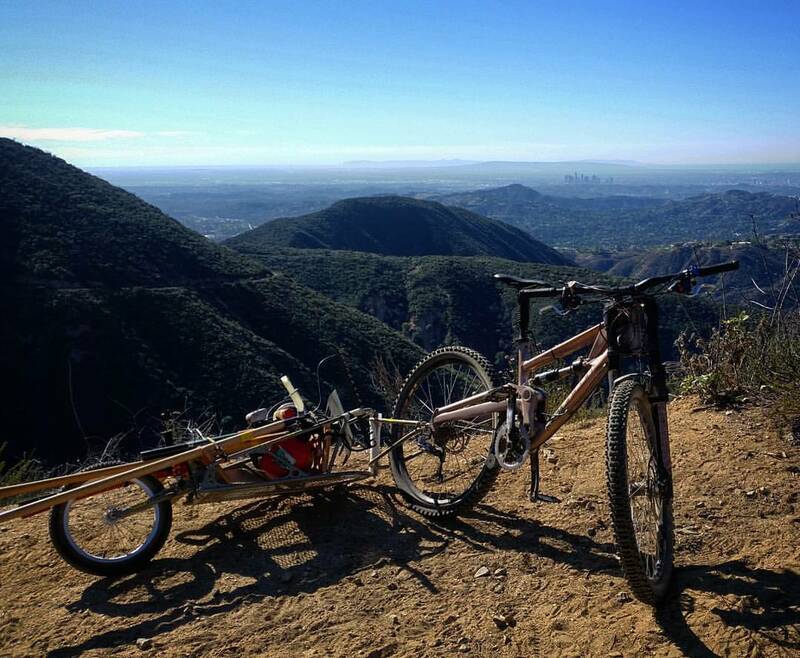 We must emphasize that the closed segment of the Gabrielino trail is not ready for public use. At least three groups of trail users who ignored the closure have had to be extracted by Search and Rescue. Please stay off the closed trails listed above for your own safety. Tags:REI, Station Fire, Strawberry Peak. Strawberry Peak is one of the most loved areas in the Angeles National Forest. 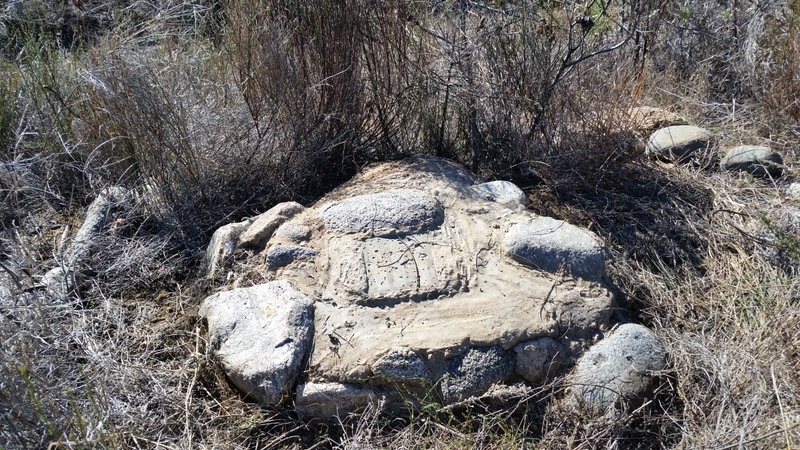 It suffered devastating damage during the El Niño storms following the Station Fire. After the fire the trail was impassable and has remained closed to all users, even as much of the surrounding burn areas have opened up. 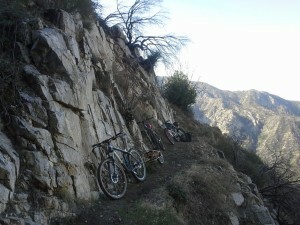 The Strawberry Peak and Colby Canyon trails together comprise the classic Strawberry Peak Loop. 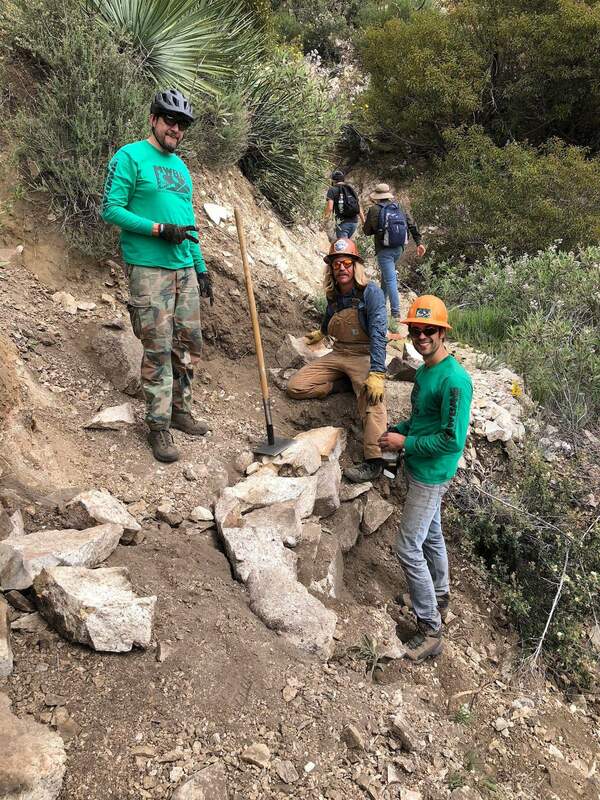 CORBA and the Boy Scouts have worked to restore the Gabrielino trail, the third leg of the classic loop, over several trailwork days since the Station Fire. It is open and in good shape. 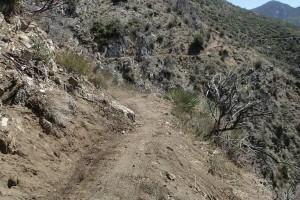 During our initial surveys of Strawberry Peak trail, it became clear that one particularly problematic section of the trail could benefit from a complete re-route. 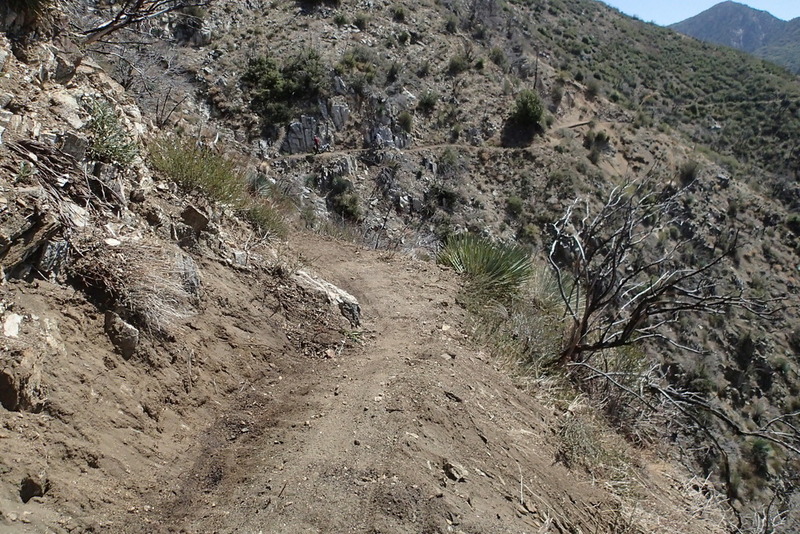 This section, where the Strawberry Peak trail leaves the old Barley Flats fire road, is a fall-line rocky chute that was difficult to ride even before the fire. 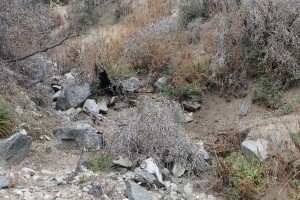 After the fire, it became a 4′ deep rocky rut for most of its length. Trail users (who should not be in the closed area) have been steadily widening this section of trail as they go around the ruts and rocks. 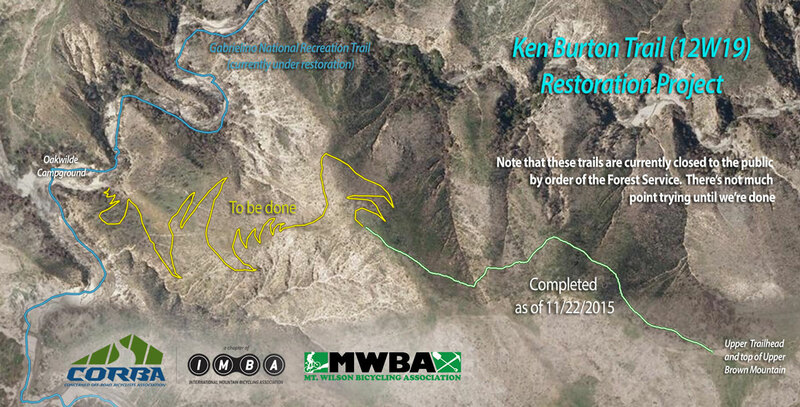 CORBA planned the re-route during our IMBA Trail Care Crew visit in 2012. About 30 class attendees and volunteers worked on the trail and learned how to flag out and prepare a new trail route. The re-route plans were submitted to the Forest Service for environmental review. The review process took about six months. We were required to power wash tools, among other things, to avoid spread of invasives. (CORBA’s tools are used in many different jurisdictions in Southern California). In late 2012, CORBA received an REI grant of $10,000 for the restoration of the Strawberry Peak loop. We purchased some new tools, and fed volunteers on our trailwork days, and sought professional help. 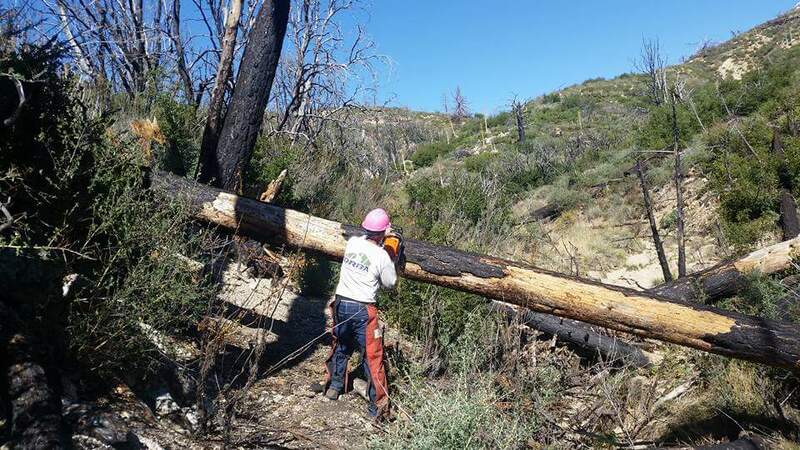 The National Forest Foundation funded the Los Angeles Conservation Corps for this and several other Station Fire damaged trails. 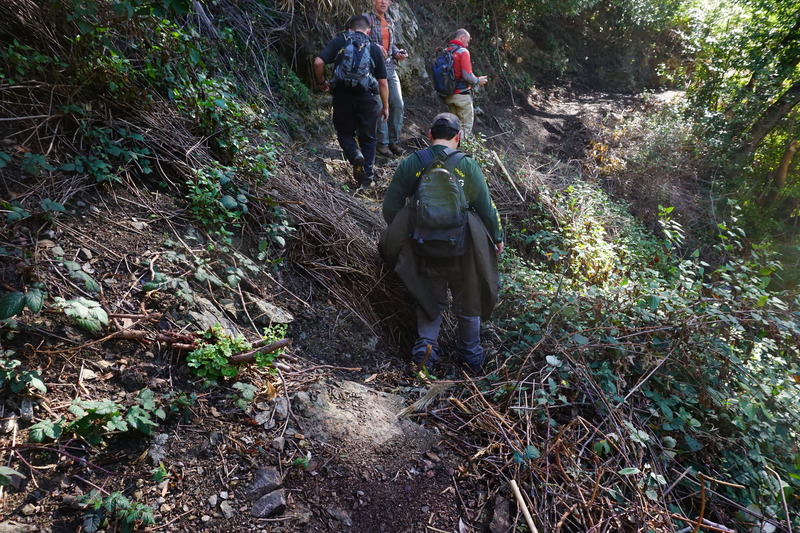 Together, we solicited the services of Bellfree Contractors, a professional trailbuilding company, to restore many of the larger slide areas, burned sutter walls and downed trees. 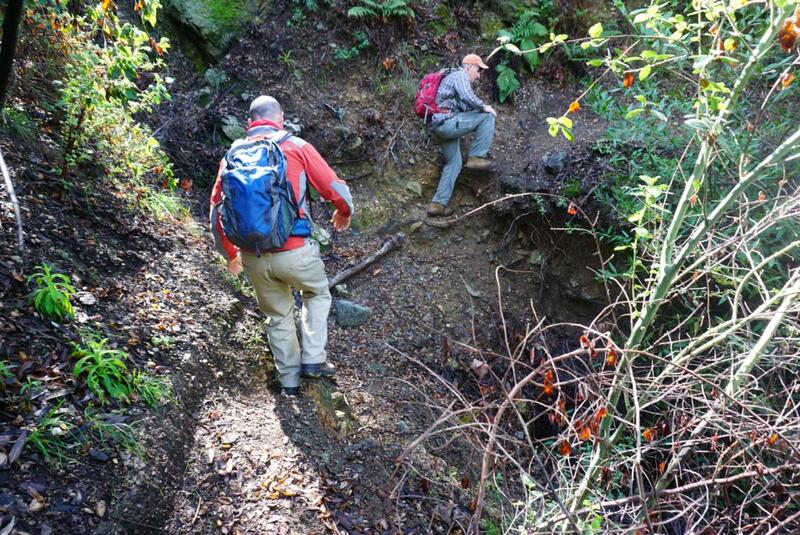 CORBA also paid over $2500 of our discretionary funds for professional trailbuilding services. 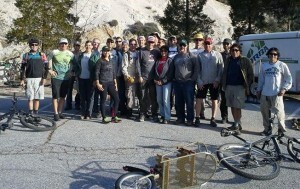 We coordinated with the Sierra Club volunteer trail crew who also worked on the Strawberry Peak and Colby Canyon trails. 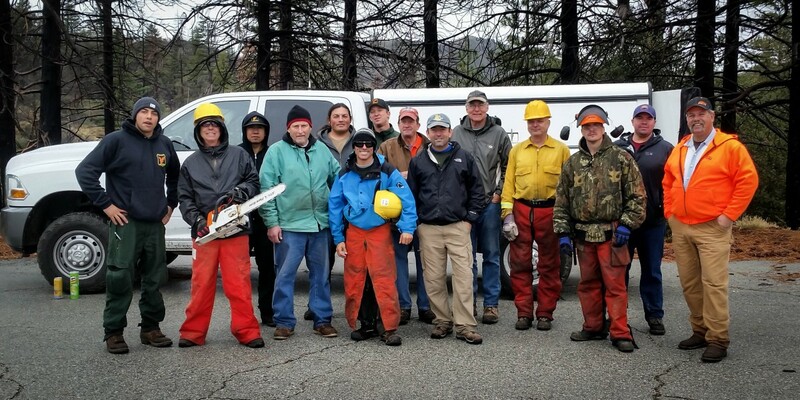 On February 16, CORBA had 22 volunteers come out for trailwork. We rode or hiked in the 3 miles to the Strawberry-Lawlor saddle, and worked on the trail as far down as Strawberry Springs. Those who rode or hiked in were very happy to be back on the closed trail. We accomplished a lot, clearing about .6 miles of trail, building three rock retaining walls at drainages, cutting and widening the trail bench, and removing slough. 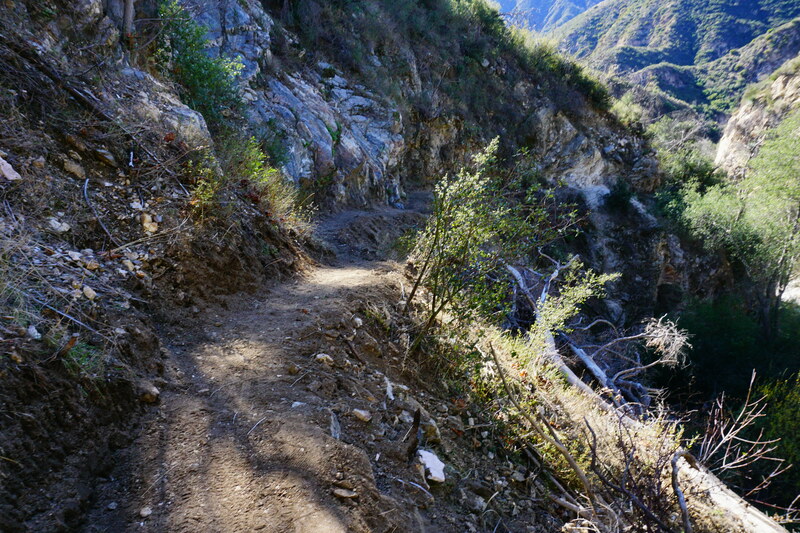 The LACC and Bellfree Contractors had cleared and restored much of the Colby Canyon trail from Josephine Saddle to the Strawberry Potrero. After their work, it was in better shape than before the fire. On March 16 we returned with about 17 CORBA and MWBA volunteers. We rode in 2.5 with Bob trailers about 2.5 miles, and restored the trail all the way to Strawberry-Lawlor saddle. With the re-route completed, the ride in was much better. There was poodle dog to remove, and slough from the one big winter storm of 2014. We will return to the trail during May, date TBD. There is still work to be done, including the repair of composite retaining walls, brushing and the ongoing need for routine maintenance. 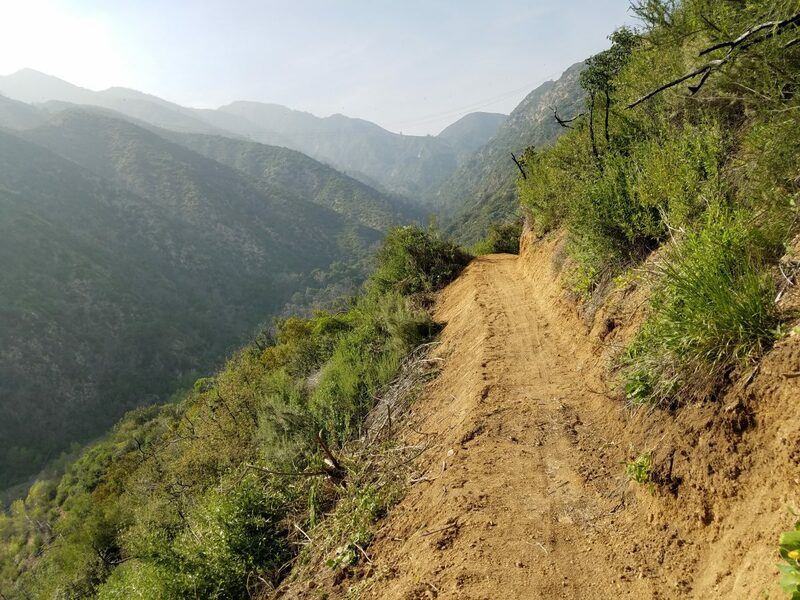 With CORBA, Mount Wilson Bicycling Association, Sierra Club, Los Angeles Conservation Corps, National Forest Foundation and a professional contractor working together, the Strawberry Peak loop restoration has been progressing nicely. The Station Fire Closure order is in effect until May 24, 2014. The Forest Service is assessing the burn area and the trails to determine whether to renew the closure order, modify it, or let it expire. 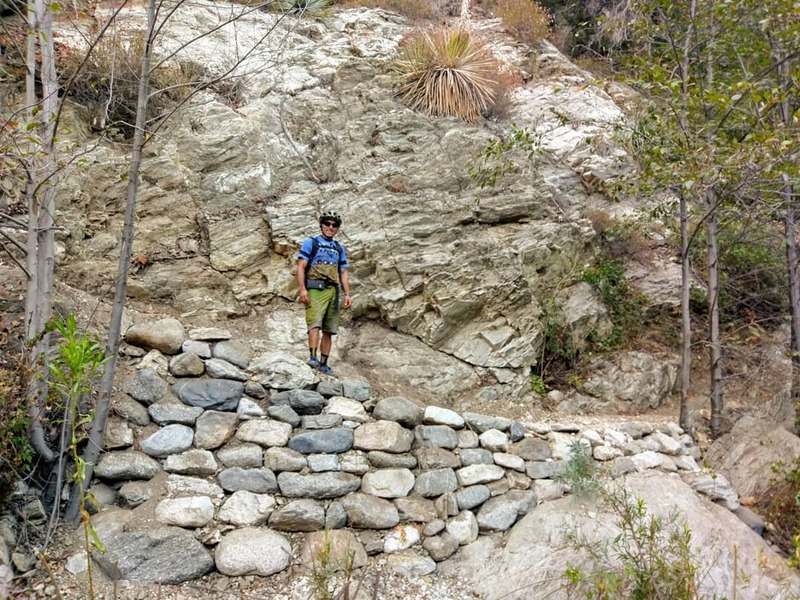 The section of the Strawberry Peak trail north to Upper Big Tujunga Canyon needs a substantial re-route, planning for which has begun. 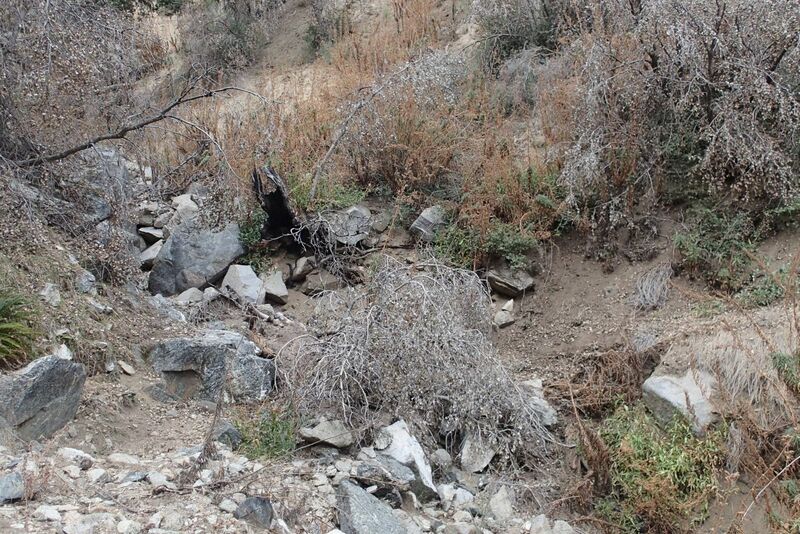 Even if the Forest Service lifts the closure, we expect the Strawberry Peak trail from the junction with Colby Canyon trail north to Upper Big Tujunga to remain closed, or be subject to a seasonal or temporary closure. Because of the need for a re-route, this section of the trail has not yet been worked on. CORBA would like to thank all the volunteers who came out to our trailwork days; to REI for their generous grant that made the restoration and professional help possible; to the Sierra Club, National Forest Foundation and Los Angeles Conservation Corps for their efforts, and to Bellfree Contractors for their professional assistance. 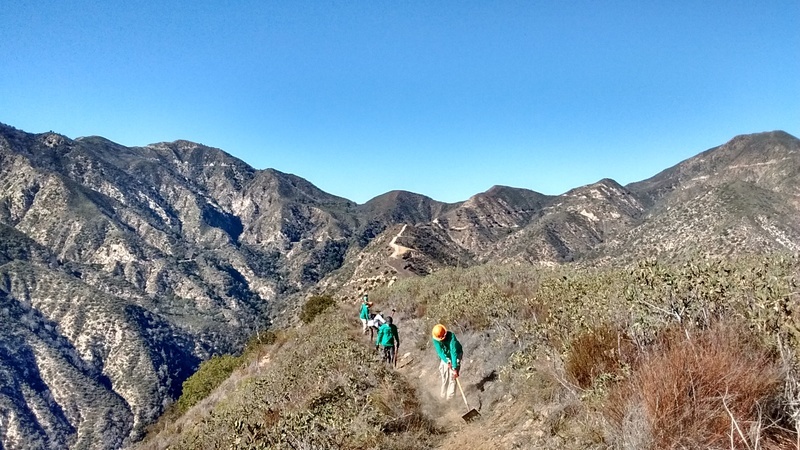 On February 16, we’ll be heading back up to work on Strawberry Peak trail. The trail is still closed to public use, and while much work has been completed, there is still much more to be done. 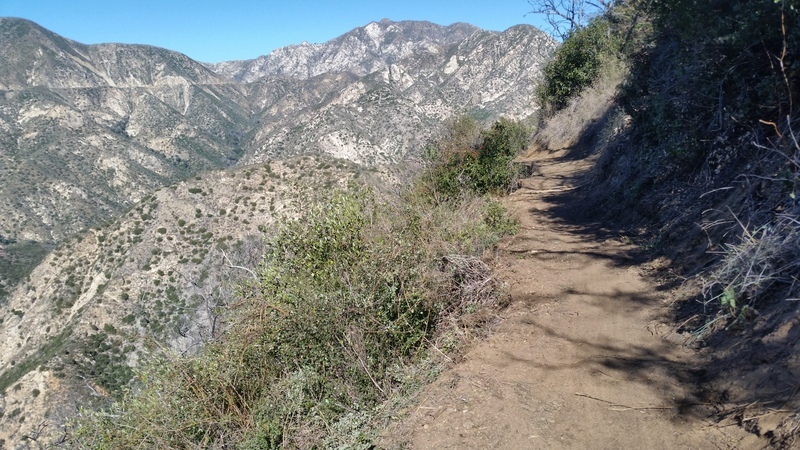 Our goal is to get the classic Colby Trail/Strawberry Peak trail loop in good enough condition that the forest service will consider lifting the closure on that trail this year. 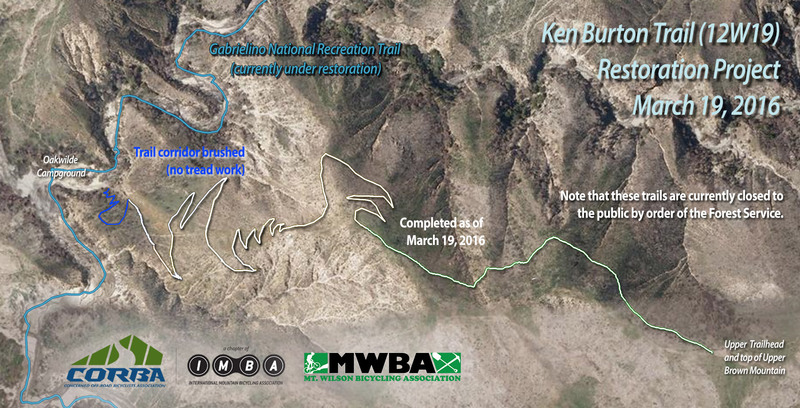 Details of where on the trail we will work will depend on how much is accomplished by a professional trailbuilder who will be doing some major repairs the week prior. Final meeting place will be announced closer to the trailwork day, but should be either Redbox or Clear Creek. Carpooling from ACH just north of the 210 freeway is also an option. There will be some preparatory work on Friday, Feb 14 and/or Saturday Feb 15, and we’d welcome a small number (3 – 5 people) for the prep work. 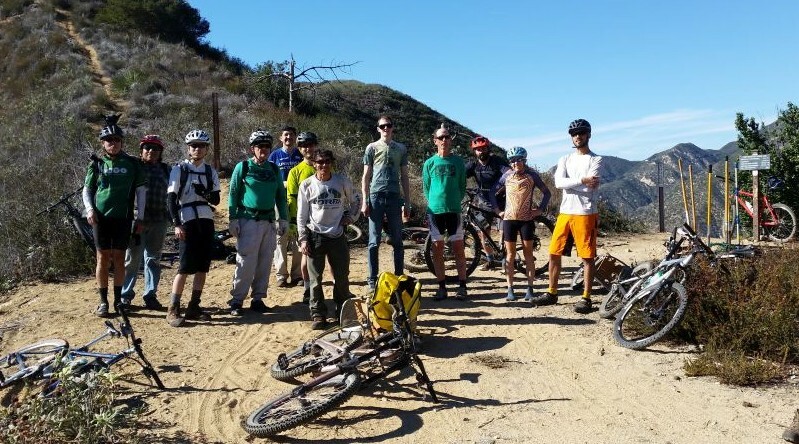 Contact Steve Messer if you’re interested in the prep work, or sign up on Meetup for the trailwork day on Sunday, Feb 16. We will probably meet at 8 a.m. and work through until about 2 p.m. Lunch will be provided afterwards. The Forest Service requires you to wear long sleeves and long pants, sturdy work boots or hiking shoes. Bring a water bottle/hydration pack, sunscreen and trail snacks, but lunch will be provided afterwards. We will supply tools and other required safety gear, including hard hats and gloves (though you’re welcome to bring your own if you have them). No experience is necessary, as trail crew leaders will cover safety training and tool use. 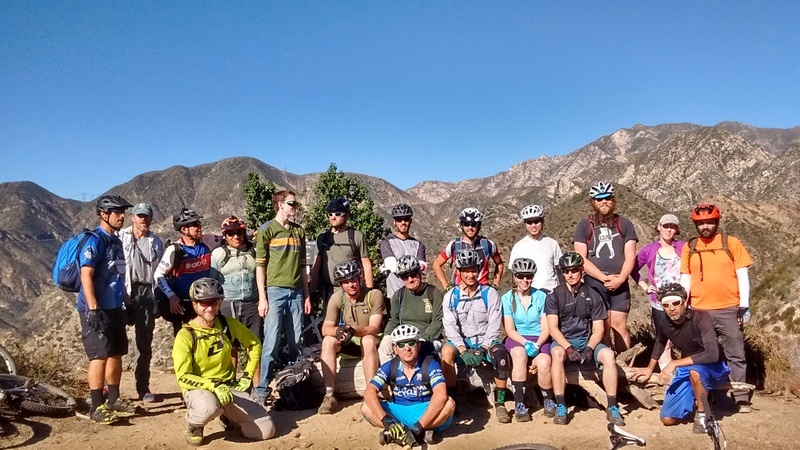 We always have a great time, and while the work is hard, the reward of being able to later ride a trail that you helped restore is a huge reward by itself. 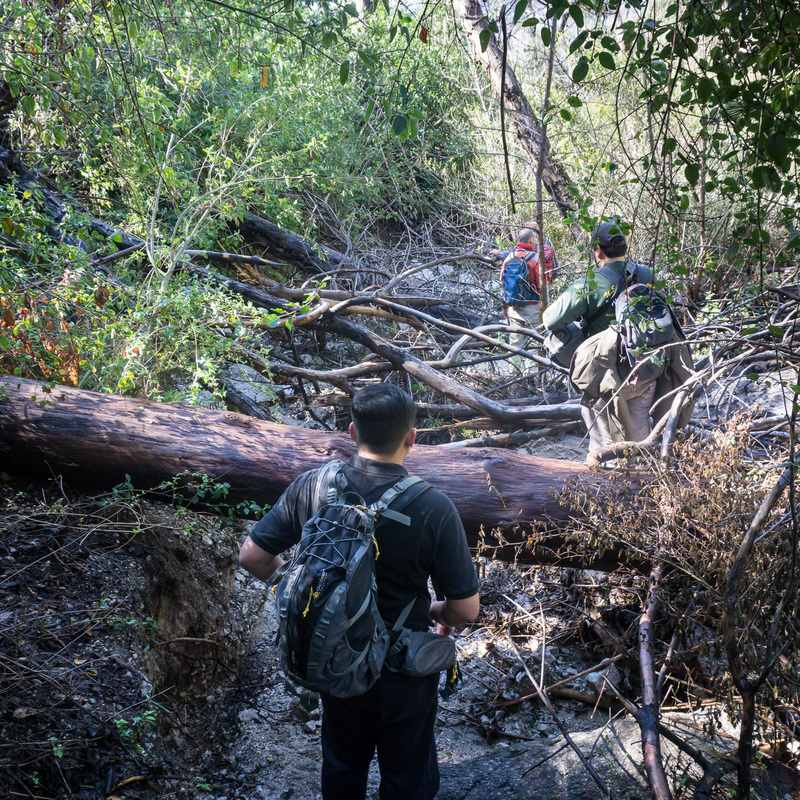 This is one of the most iconic and classic Southern California backcountry rides, and we’re excited to get it completely restored with the generous support of REI and the National Forest Foundation. 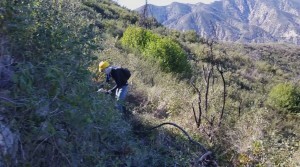 CORBA’s trail crew was recently awarded a grant from REI for the restoration of the Strawberry Peak trail. 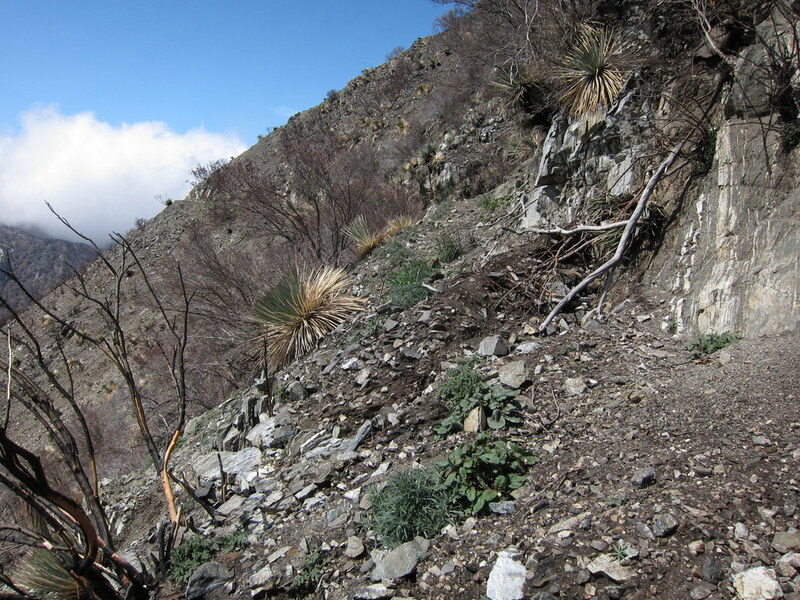 Strawberry Peak Trail was severely damaged in the Station Fire of 2009, and remains closed to all users. 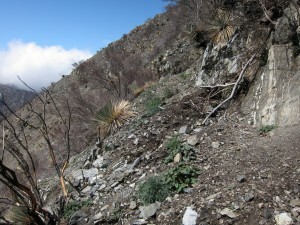 Most of the trail was devastated by winter rains in the two winters after the great fire had decimated the vegetation. 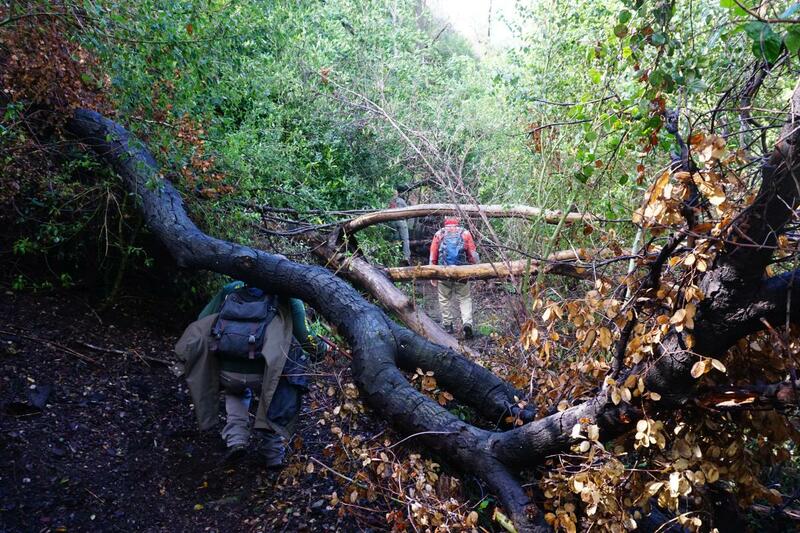 Above average rainfall and heavy storms sent debris flows across the trails. Wooden retaining walls that supported the trail were burned away and need to be replaced. The trail is in need of much work. 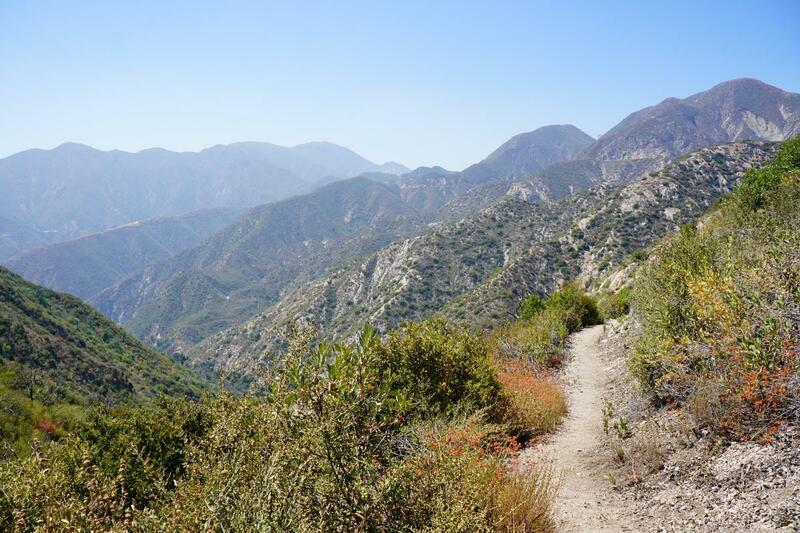 The REI grant will be matched with funds from the National Forest Foundation, as much of the trail lies in the Big Tujunga drainage, a designated NFF Treasured Landscape. The funds will be used for the purchase of additional tools, materials needed for the repairs and supplies for volunteers. Additionally, the funds allow for a private contractor to be utilized to do some of the heavy work, allowing volunteers to repair the retaining walls and do the finish tread work. 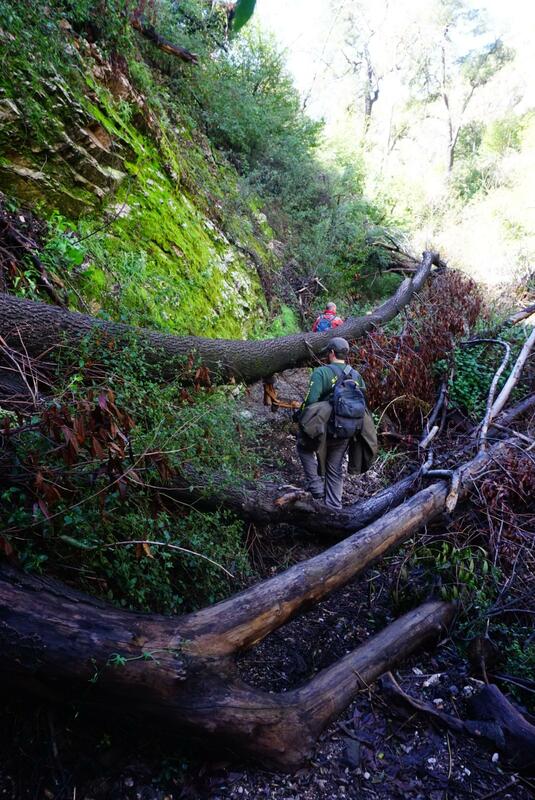 We will also work alongside other groups, including the Sierra Club to restore this iconic and much-loved trail. 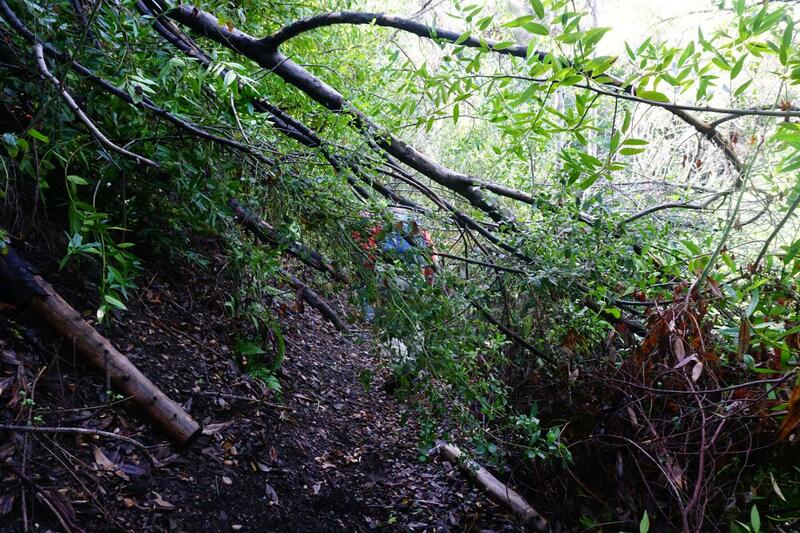 When reviewing the trail post-fire, the particularly troublesome section of trail where the trail leaves the old Barley Flats fire road, was a deep and long ravine. 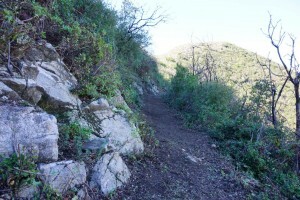 We proposed re-routing this section of trail to avoid the fall line rocky section. That re-route is pending review by the Forest Service. We hope to have approval for the re-route in time for the IMBA Trail Care Crew’s visit on October 20/21. Over the coming year we will have regular work days on the Strawberry Peak trail. If you care about this trail, watch our calendar for upcoming trailwork dates, and email trailcrew@corbamtb.com to let us know your interest. 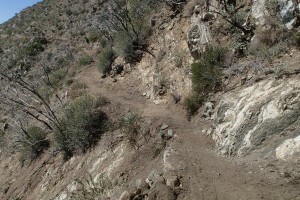 We plan to kick off the trailwork with an upcoming visit from the IMBA Trail Care Crew. 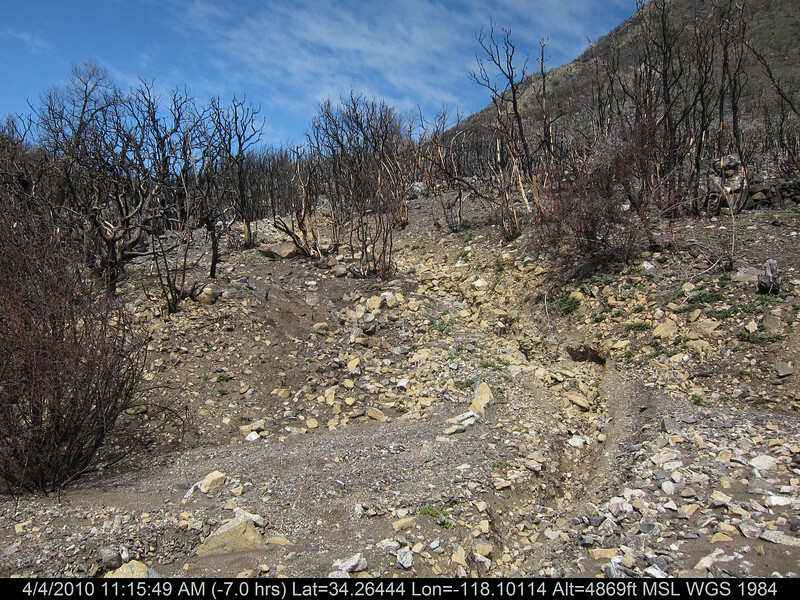 A previous REI grant allowed CORBA to restore several trails in the Station Fire burn area which are now open and in use. We are truly grateful to REI for their ongoing support of this, and many other CORBA programs.